To evaluate the impact of standardized reduced post-procedure observation time on subsequent healthcare encounters such as emergency department (ED) visits, hospital admissions, and clinic visits. 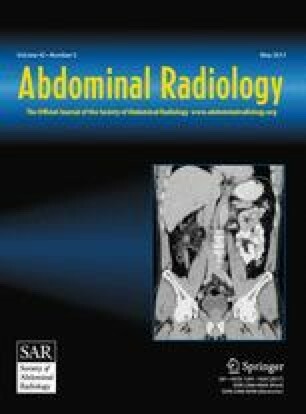 800 consecutive patients undergoing outpatient non-arterial interventional radiologic procedures within the vascular interventional department between 1 June 2013 and 21 July 2014 were included in this IRB-approved, HIPAA-compliant single center observational retrospective study. Electronic medical records were reviewed for subsequent healthcare encounters, such as ED visits, hospital admissions, and clinic visits. An attending interventional radiologist and radiology resident reviewed, in consensus, medical records for relevance of the encounter to the index procedure. Procedure-related encounters were analyzed to determine relationship to length of observation time, using Matlab for statistical analysis. 397 and 403 patients were in the pre- and post-standardization groups, respectively. Median observation time decreased overall from 1.67 h [interquartile range (IQR) 1.17–2.17] to 1.42 h (IQR 1.08–1.92), p < 0.001. There was no significant change in either overall or procedure-related ED visits (16.6% [66/397] and 1.0% [4/397] pre-standardization vs. 20.1% [81/403] and 2.2% [9/403] post-standardization, p = 0.24 and 0.26), hospital admissions (27.7% [110/397] and 4.0% [16/397] prestandardization vs. 28.3% [114/403] and 2.7% [11/403] post-standardization, p = 0.88 and 0.33), or clinic visits (41.3% [164/397] and 1.0% [4/397] pre-standardization vs. 39.5% [159/403] and 2.2% [9/403] post-standardization, p = 0.61 and 0.26). Proposed standardized shortened observation times after outpatient interventional radiologic procedures are safe, without change in either total or procedure-related ED visits, hospital admissions, or clinic visits. The authors would like to thank Alexander Brook and Donna Wolfe for their help in this study.